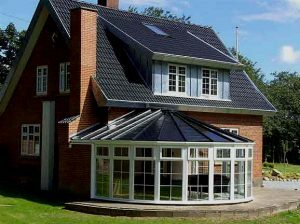 Choosing or fitting a window which is double glazed is an excellent first step towards preserving or managing the room temperature of your Orangery. Thermally efficient “Low-E” glass when used in conjunction with double glazing is very effective at temperature management, helping to keep you from spending more money on utility bills for the heating and cooling of your Orangery throughout the year by means of significant improvements in thermal performance over any type of single glazed window. Windows that are double or even triple glazed can be ordered and installed at any point, even after you have built your new living space home, and is a well tried and economical way to make sure that you don’t have to suffer undue rises in your household utility bills. Home Security Locks – keeping safe. UPVC Front Doors, How Much Do They Cost?